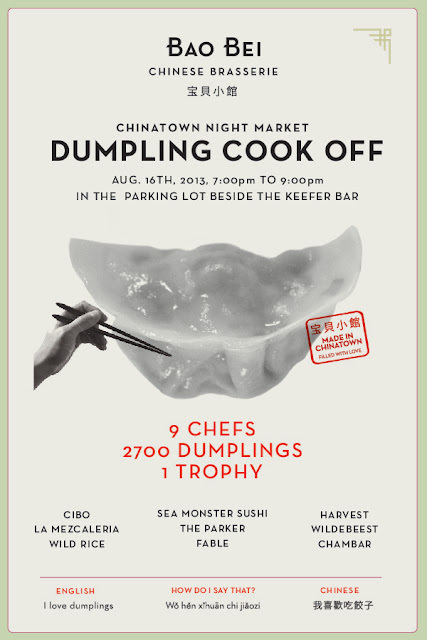 If you haven't checked out the Chinatown Night Market yet, here is another reason to go peep it. 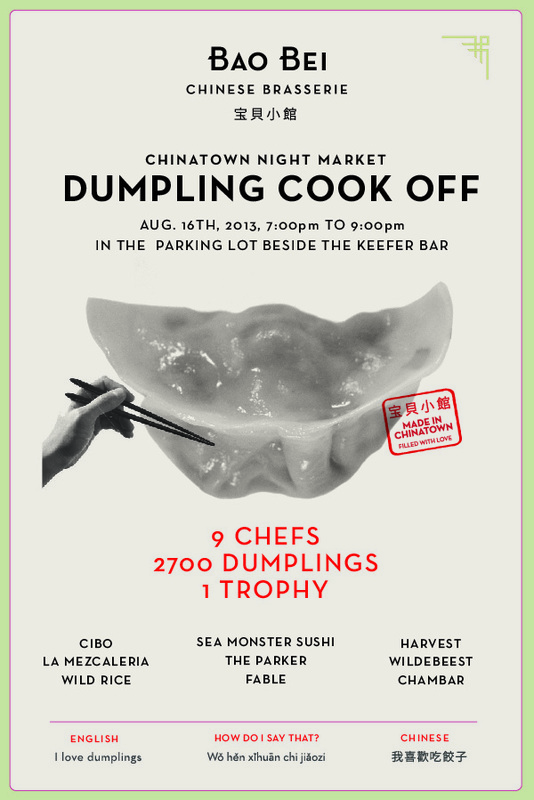 On August 16, 2013 there will be a dumpling cook off featuring nine chefs from some of the best restaurants around the city. The chefs are not from your usual restaurants so you won't see Congee Noodle House vs Kwong Chow Congee Noodle House but rather the chefs are from spots like Chambar, Wildebeest, Sea Monster Sushi plus a grip more. 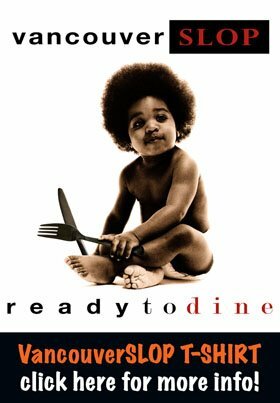 If you clown on ethnic restaurants where the chefs are Caucasian folk, here is an event that will make you eat your words. Do we need another fancy grilled cheese joint? Blocks away from the Mom's Grilled Cheese truck lies Cheat Day, the latest shrine to lactose. While that truck still sees a fervent mass making their demands on a near daily basis, this new shop is by the old A&B space on Seymour, a location which does a new business no favours. The surrounding English school students are drawn heavily to the $1.99 pizza slices here, there and everywhere; the surrounding office workers poke their head in for a periodic check, take a look at the chalkboard-paint menus taped to the wall, but mainly walk away. If they had stayed, they'd enjoy a classic ($5) with aged cheddar, melted to oblivion with no shortage of grease. Add a $1 and you'd get an egg-in-a-basket, the yolk pushed to solid, a disappointment to anyone expecting anything short cooked short of a spongy mass (ie most folks). Those that order the brie ($8) are much better off, enjoying their LCD Soundsystem soundtrack with a sammy that means well with the accompanying peach jam, though perhaps a bit too enthusiastic about the actual amount of it. Give it time, though, and Cheat Day might iron these wrinkles out. They will perhaps learn to grill their sandwiches to that comfort zone between melting the cheese and melting one's mouth. They will perhaps learn to modify however it is they prepare things, as there shouldn't be this level of grease without a deepfryer involved. They will perhaps learn that word of mouth probably won't cut it on that block, as there's stronger competition just minutes away with what is effectively a giant billboard on wheels. 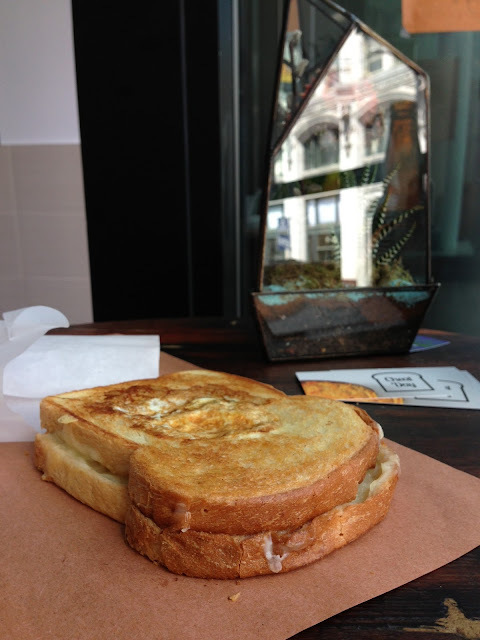 Until then, do we need another fancy grilled cheese joint? Not quite yet.